The latest offering from renowned chef Angela Hartnett is a collaboration with Luke Holder at the gorgeous Lime Wood estate in Hampshire. It would be difficult not to love this place, set amongst the idyllic New Forest, it is like stepping into an aristocratic country club. A menu flourished with Angela’s passion for Italian cuisine, seasonal British and the forest surroundings, accompanied by an impressive wine list. You have the option of leaving your menu in the hands of the chefs, a concept I like when you are going to be treated with dishes which don’t appear on the menu. However it seemed that here is was just going to be a selection of what you see in front of you. Before I start on the food, let’s talk about those plates. Gorgeous and so fitting for the country garden surrounds. Only at this time of year do you get to taste the deliciousness of morels, so I don’t pass up the opportunity. 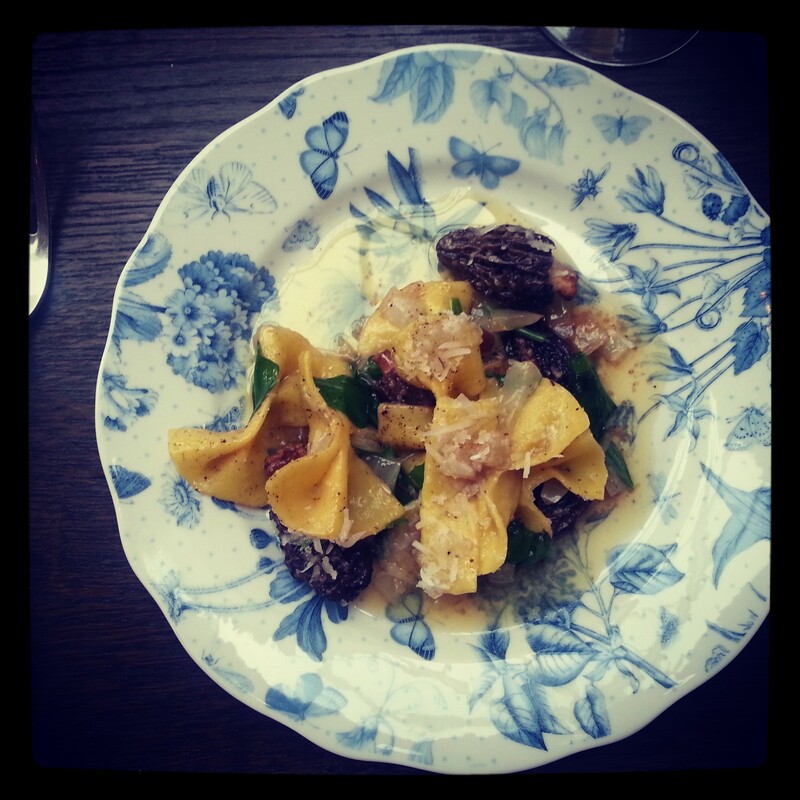 With farfalle, wild garlic and a buttery reduction it was perfect in its simplicity. 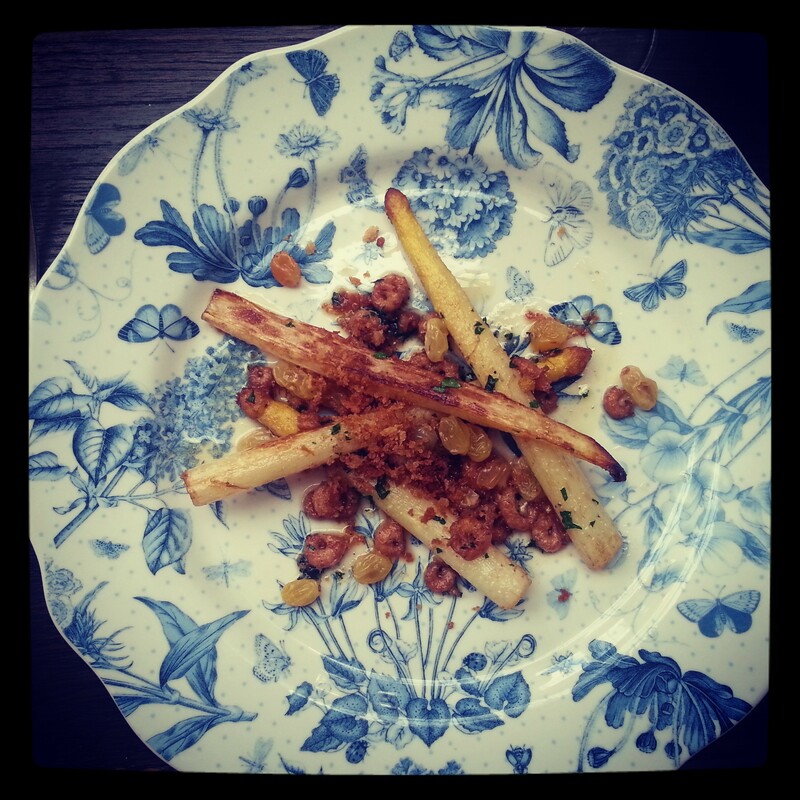 Another seasonal treat is white asparagus, slightly sweeter than its green cousin it is quite the elegant stalk. This pairing with shrimp and brown butter was pretty exquisite. Salty, sweet, silky and crunchy; a perfectly balanced journey with each mouthful. The main event was meat. Quite a substantial amount of meat. 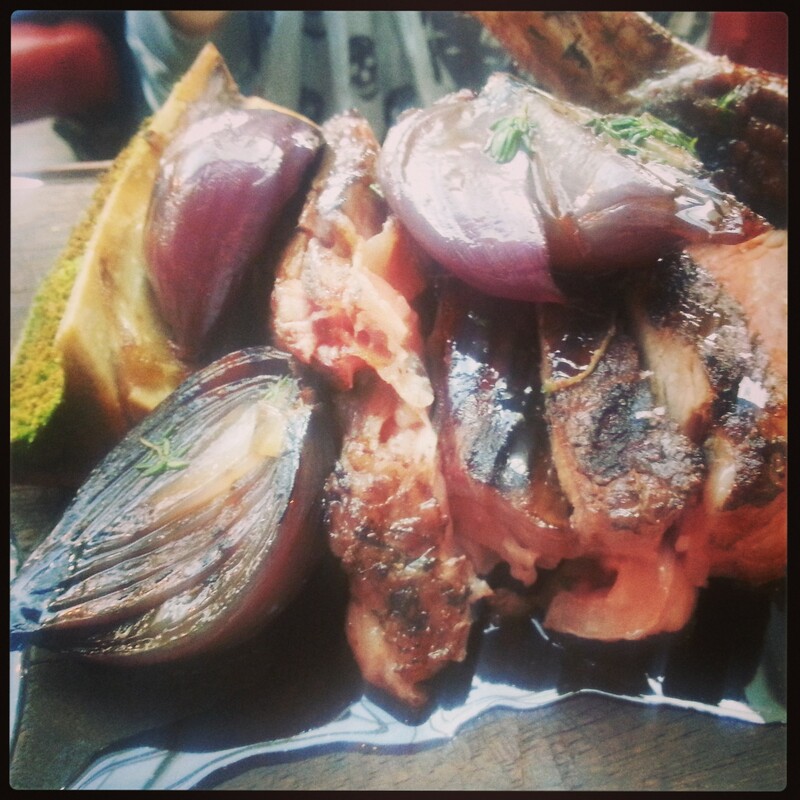 Rib eye for two complete with smoked bone marrow. Slightly over cooked by my medium rare standards but was still juicy and the bone marrow delicious. Dessert became non negotiable as soon as I discovered the delectable dessert wine selection. I am such a sucker for sticky! And why have one dessert and one glass of wine when you can share two of each. 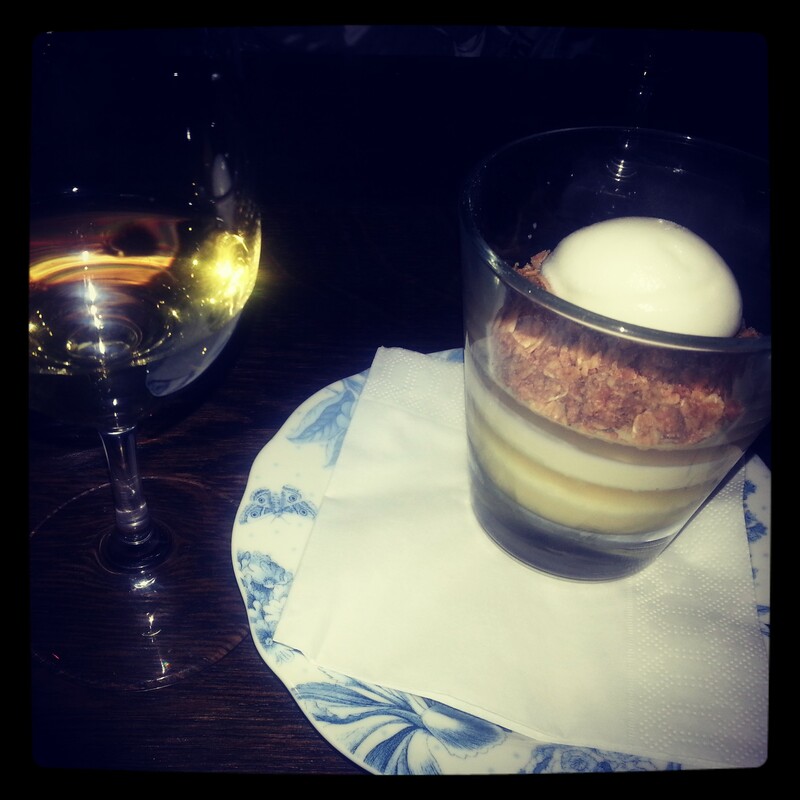 First up was a tarty lemon posset, lemon curd and lemon sorbet topped with salty oats. Such an awesome combination the sour and the salty was divine. Paired with a French riesling it was all over far too quickly. 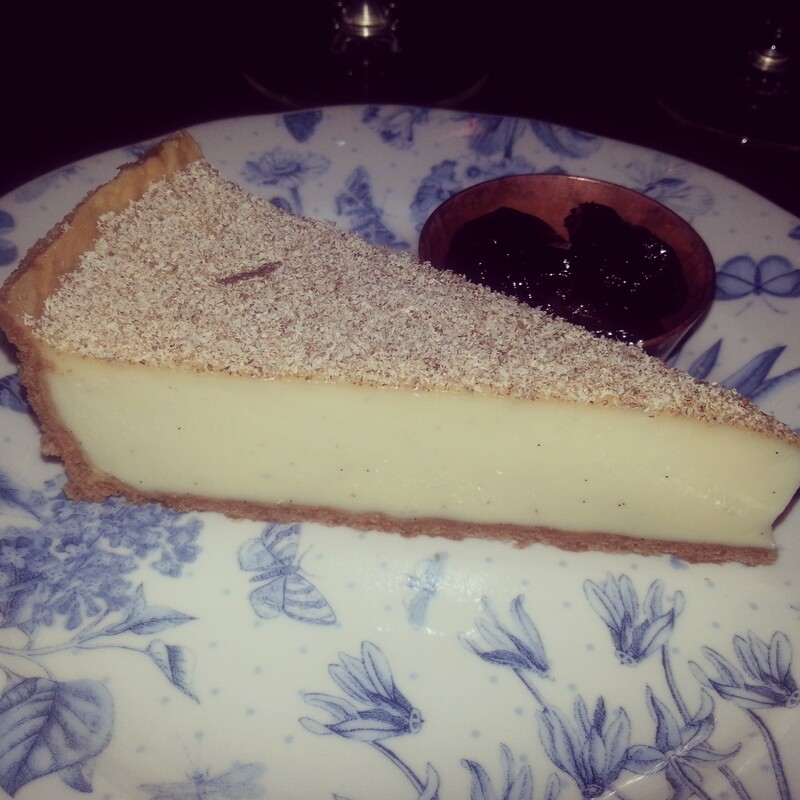 The final offering was a smooth vanilla tart with rum soaked prunes. Rich and creamy with deliciously drunken fruit, it was washed down with a more full-bodied Spanish muscat. Like drinking nectar from the gods. By this stage we were pretty content and jolly, so it was time to retire to the lounge bar for a digestif. 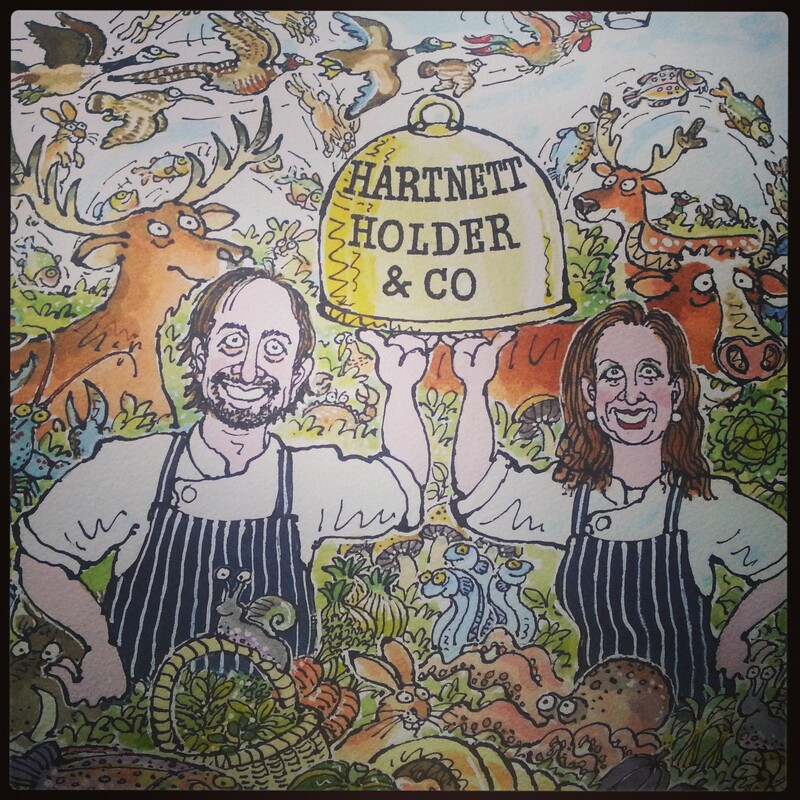 The whole experience at Hartnett Holder & Co is very pleasant indeed, gorgeous setting, attentive service and fresh seasonal food. The bill is a little higher than what I would expect to pay outside of London but it makes for a special treat.